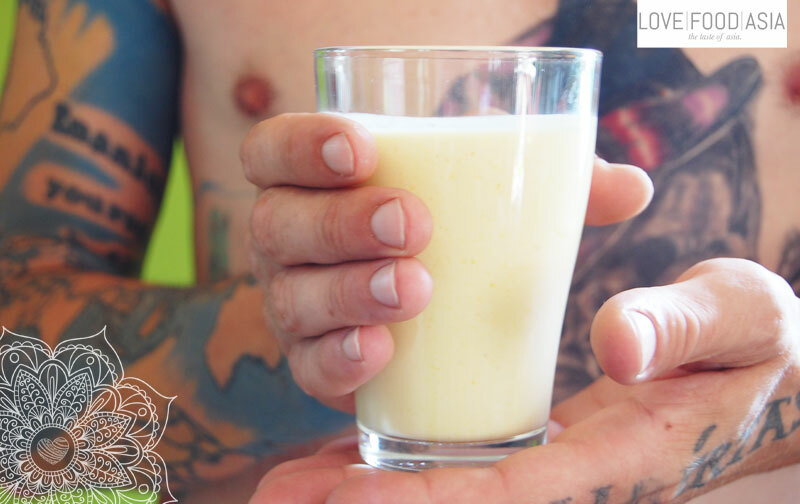 A Lassi is an Indian fruit drink with yogurt and any kind of fruit you like. It´s fresh taste fits perfect to any kind of Asian spicy meal. You can mix this simple and sweet drink in less than 5 minutes. All ingredients should be cold. If not you also can used a bit crushed ice.Better use milk and yogurt with more fat to make the fruit shake eben more creamy. Add all ingredients to a blender and mix until you have a creamy consistence.